On clear sunny days more and more people are looking up at the sky, unsure of what to make of what they often see. Many are noticing long lingering trails of aircraft emissions hovering above us, turning our skies in to a grey drab whispy haze (as seen today over the Welsh capital) But why and what are these trails? Aren’t they simply exhaust fumes from planes? And aren’t people who theorise that these could be hazardous to human health and the natural world merely people with overactive imaginations? It’s an area which causes a dilemma for nervous news publishers across the globe – should they publish a serious story which dares to even question the official line on this matter and risk ‘being called names’ and metaphorically burnt at the stake Galileo style? It’s not only newspaper editors who are in a pickle. Science, which is supposed to thrive on healthy evidence based questioning and scepticism, has possibly never been such a secretive intolerant club as it is today, gripped by fear and manipulated by governmental grants and corporate financial incentives and control. The end results are inconsistencies and contradictions when it comes to aerial spraying as well as many others subjects. As in a number of other areas such as man-made global warming, there has been very little room for debate or differing views. This is thankfully gradually changing. The highly contentious IPCC / International Panel on Climate Change and their processes are now being rightly challenged and questioned based on some very worrying allegations. Even so, the so-called liberal mainstream media tries to ensure that those who simply ask questions or express concern or scepticism which doesn’t tie in with the perceived truth, are suitably pilloried with extreme language—‘deniers’, which calls to mind Holocaust deniers (which one, there are so many?) being a particular favorite. Or in the case of chemtrails – tin foil hat wearers, kooks and fruitcakes. Little green men might also be mentioned. The obscene crime of possibly being a Christian or of maybe having an opinion which may not be considered ‘on the left’ may also be targeted when other avenues of derision have been exhausted. However, there’s a slight problem with such lines of attack. 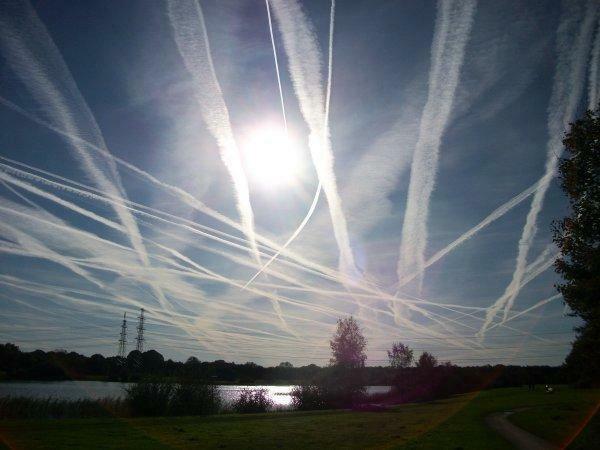 Geoengineering is an officially admitted governmental program of weather modification which ‘proposes’, for example, spraying sulphuric acid into the stratosphere to combat the perceived man-made global warming threat. 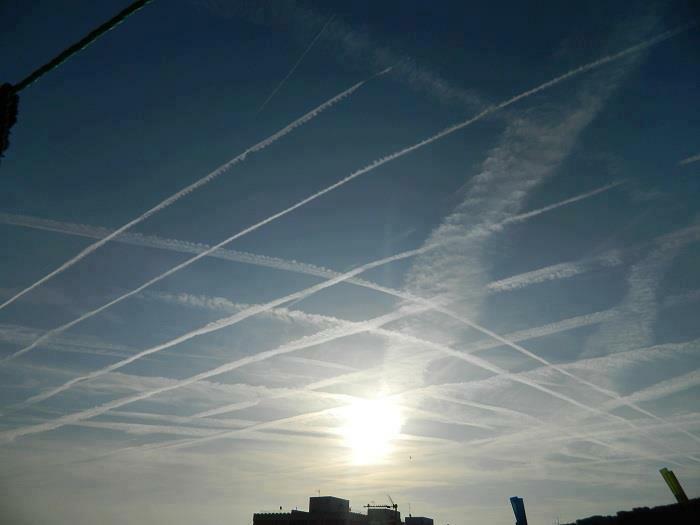 The UK Government has acknowledged this ‘proposed’ programme of geoengineering, known as both SRM (Solar Radiation Management) and S.A.I (Stratospheric Aerosol Injection) although there still remains ambiguity between the terminologies of geoengineering, chemtrails, troposphere and stratosphere spraying, leading many to simply call it atmosphere spraying. 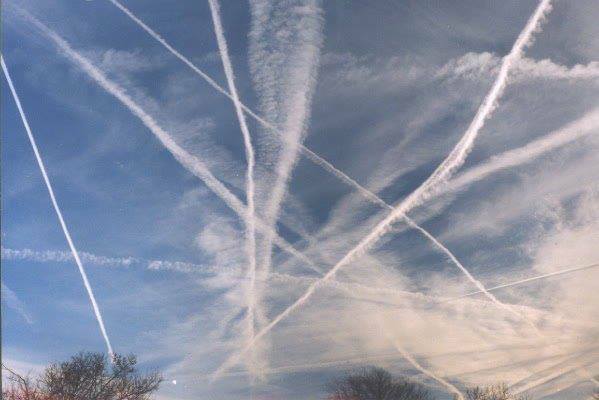 But against all contrary evidence, the releasing of large quantities of aerosols in to the atmosphere by aircraft is still only claimed to be a proposal by authorities rather than an active programme being carried out in the skies above us at a regular rate. A 2009 Department of Energy and Climate Change (DECC) report titled Geoengineering options for-mitigating climate change proposes the same aerosol spraying ideas but admitted the impacts, costs and risks involved to health and the environment could not be known. 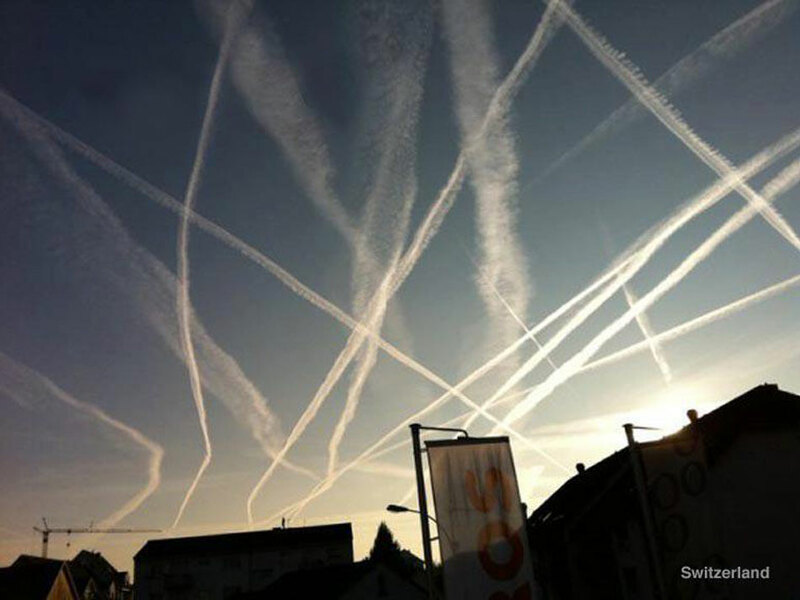 The report released in April 2009 outlines ‘possible proposals’ for the release of stratospheric aerosols of sub microscopic particles such as sulphate, metals, dielectrics, resonant scatterers or dust by using aircraft, possibly by addition to aviation fuel, which allegedly reduces the cost of delivery. In other words, nobody can tell what the effects could be. This of course includes risks to human health and the natural environment. The quote has since been removed but has been archived online. This all ultimately falls under the UN’s dreaded global Agenda 21 / Sustainable Development doctrine which seeks to control and manipulate a great deal of our lives and environment, often under the false pretext of the ‘Green Mask’ as the American Rosa Koire puts it. Many credible people are going further, with ex Australian politician Ann Bressington recently announcing that the dangers of geo engineering and Agenda 21 are a threat to health and life as we know it. This globalist agenda of Agenda 21 / Sustainable Development, as well as seeking to gain control over most aspects of our lives, has been suggested by many to be also working to eradicate national sovereignty, individual rights and all private property, indoctrinating a generation of children to become ‘global citizens’ in a Brave New World global village in the process. Too far-fetched? Or just too much to think about? It’s claimed that the difference between normal exhaust fumes from an aircraft, known as contrails, and the heavy lingering and hazy chemical trails we’ve seen in recent years, is that contrails are mostly made of crystallised moisture (ice) left by aircraft under very specific conditions; very high altitude and very cold. Contrails dissipate very quickly, even in ideal conditions. However, as many people are observing, chemtrail aerosols linger around for five or more hours and often turn a beautiful blue sky in to a general grey whispy haze. Physical evidence has been documented by tens of thousands of citizens throughout Britain and the world for over a decade by now, with millions more observational witnesses. 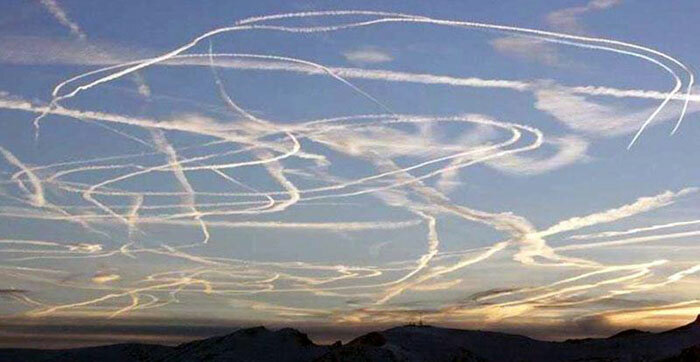 Photographs from skies pre 1990 are believed to demonstrably show that aircraft never used to leave such trails except on very rare occasions. Observers are also claiming that, as more awareness of aerosol spraying is building, the sprayers are subtly adapting their techniques to make themselves more difficult to track and spot. 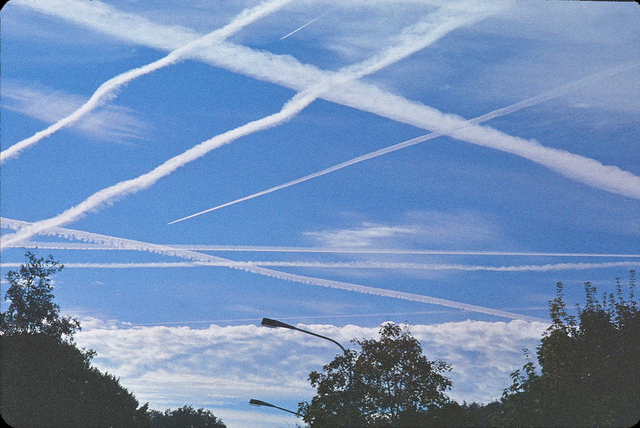 According to sites such as Chemtrail Project UK , independent labs are detecting toxic levels of aluminum, barium, magnesium and other high levels of conductive and heavy metals elements as well as unknown biological components and nano material in rainwater samples, whilst soil pH levels are reading lower than normal – meaning a potential infertile future soil. The dramatic reduction in bee numbers seen in recent years is also believed to be possibly linked to aerosol spraying. If true, geoengineering/aerosol spraying programmes are being implemented outside of any legal framework, national or international, without the knowledge or informed consent of the populations, and in violation of the most elementary scientific and health precautionary principles. 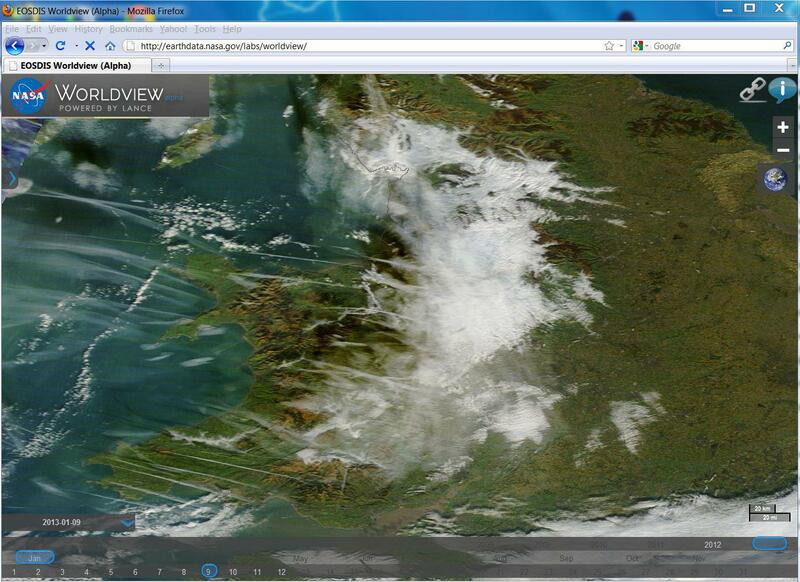 And if any aerosols are being released in to the atmosphere above Wales for whatever reason or initiative, there is obviously a clear duty on the Welsh Government to fully investigate this under their devolved responsibilities for environment/pollution, food, health, and the public welfare and human rights of all Welsh citizens. As of yet no one in the Welsh Government has broached the subject. A Sovereign Wales petition for an independent investigation was turned down by the Welsh Government on the basis that anything to do with aircraft has nothing to do with Wales – an almost literal head in the sand reasoning. See inadmissible petitions here (page 43). 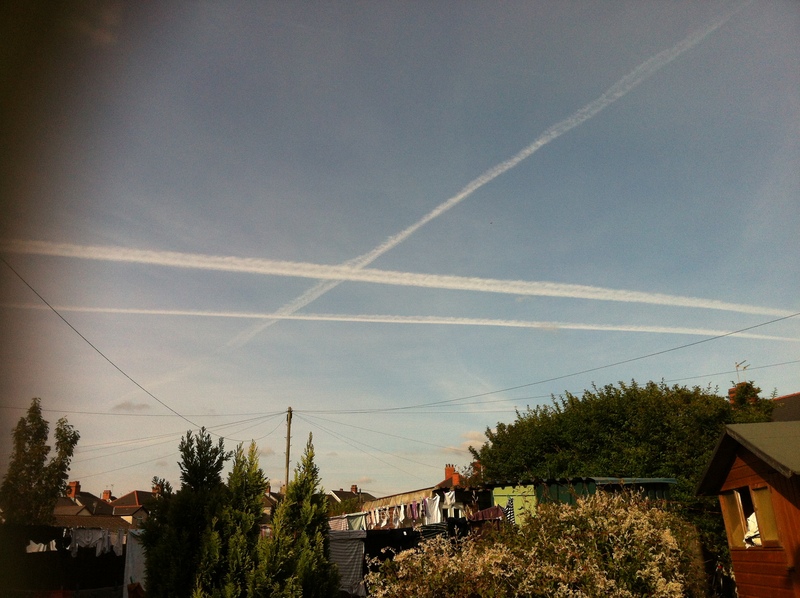 It’s interesting to note that the Welsh Government did not seek to deny the claim of aerosol spraying, merely to deny all responsibility and accountability – something which could not be allowed to happen in a truly sovereign state and should not be morally allowed under any situation. Questions regarding who exactly is spraying and why exactly they are doing it are still unresolved but it’s no longer good enough to simply dismiss the valid questions being raised as wild conspiracy theories, fantasy and tin foil hat territory. The lazy name calling and sniggering needs to make way for rational investigation to take place by qualified independent as well as governmental sources. All the available evidence needs to be considered and the findings published and peer-reviewed for all of us to see. But don’t leave it to the experts – do your own research, look up, think, speak, consider.